We MUST ban “Assault Weapons”! “Common sense” regulations anti-gun guys want include a ban on assault (ie- “scary looking”) rifles. 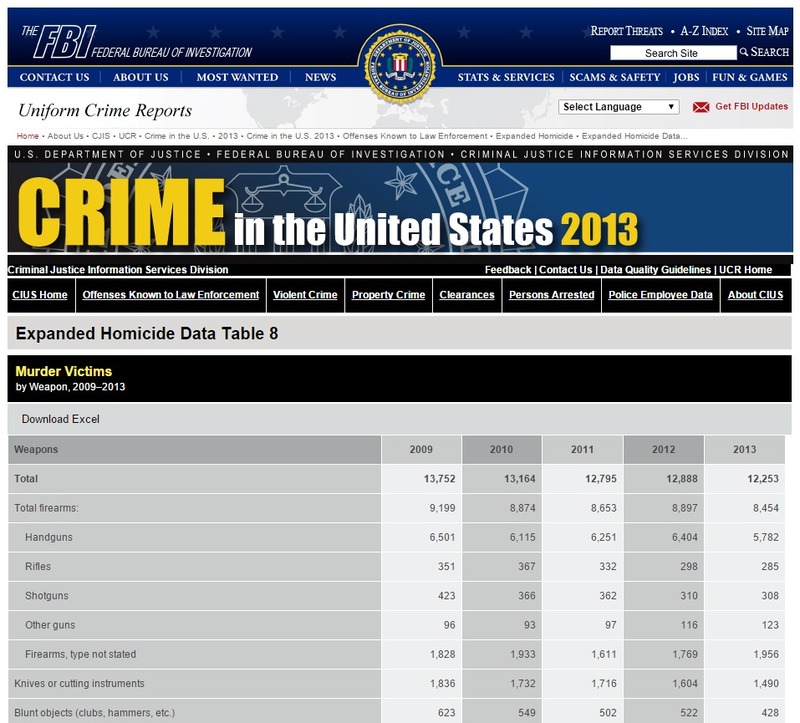 – Latest FBI stats… 12,253 murders in US. They need this to fight our rising murder rate! Except it is actually on a steady decline. Maybe “common sense” doesn’t mean what I thought. Seriously folks… math r hard. Right? Previous Post THE PROBLEM: THOSE DANGEROUS NEW KILLER GUNS!